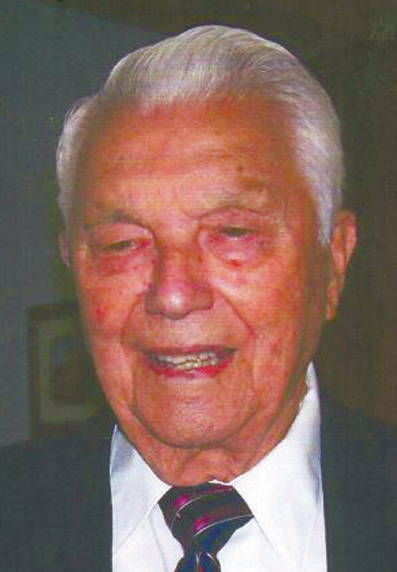 TROY — Robert E. “Bob” Wise of Troy will celebrate his 95th birthday on March 22. Wise was born on the family homestead on Klinger Road in Covington, where many stories and memories he has shared with his family were created. He is the oldest of six siblings surviving of 11 children. He was pulled out of school in the eighth grade by his father, Ferman, who had him begin working at the gravel pit. He later married Elizabeth Landis. They had a daughter, Bonnie. He also has two grandchildren and four great-grandchildren. Always on a quest for knowledge, Wise — while apprenticing for plumbing — attended night school for plumbing, heating and air conditioning, and received his degree and licenses in many surrounding cities, including Dayton. He was instrumental in building the Mead Tower in Dayton as well as many other buildings. Later in life he joined Carrier Air Conditioning and worked there until his retirement. Since his first wife’s death, he lives with his wife, Pat, to whom he has been married for 15 years. Wise enjoys fishing, writing, reading, exercising and telling stories and jokes, and is currently writing his memoir. He lives an active life and goes out with friends three to four times a week. This past winter, his friends gave him 30 gallons of walnuts that he has cracked and prepared for spring to jar for cookies and other baking projects. He attends First Methodist Church in Troy. He loves to sing and has been in many choirs. Cards to share in his birthday celebration are welcome at 1107 E. Mulberry St., Troy, OH 45373.